PUNTERS will be primarily focused on the action at Caulfield this Saturday, but they shouldn’t forget about the great action at Randwick. The quaddie features the Listed Tattersalls Cup where the Sydney-based stayers stake their claims for an outside chance at the Melbourne Cup and also the Brian Crowley Stakes where a talented field of three-year-olds will line up. The three-year-old sprint wouldn’t look out of place at Group one level and the bookmakers are having a hard time finding a clear favourite. 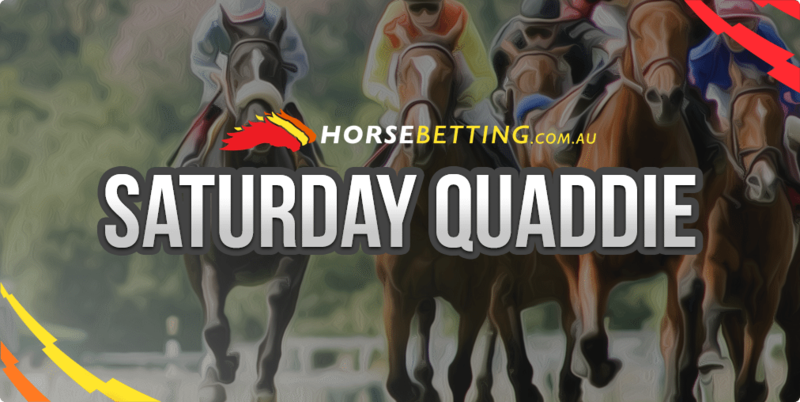 The Group 3 Property Nivision Stakes and the Tattersalls Lightning also feature in the quaddie and we have free selections, form and the latest odds for all four legs. Junoob has been an expensive horse for punters over the past couple of seasons, but it ran on nicely in The Metropolitan Handicap and this field isn’t close to that class. The Chris Waller-trained nine-year-old is producing consistent runs which is why bookmakers have made it the $3.80 favourite. Alegria couldn’t reel in its stablemate Allergic last start, but it has been supported on the second line of betting at $4. The five-year-old mare trained by John O’Shea is fourth up this campaign which should suit and having placed in five from six starts on this track, it will be looking to score that elusive Randwick win. Inside draw and the light weight will take it close. Sense Of Occasion can’t be overlooked based on its run for fifth in The Metropolitan. It didn’t have much luck after being caught wide throughout, but it still boxed on well behind Sir John Hawkwood and that’s good form at this level. Must include in quaddie bets at $4.40. El Divino is a quality three-year-old for the Waterhouse/Bott training partnership. The son of Snitzel drops back from the Group 1 Golden Rose where it finished seventh and it was able to dead-heat with Astern in April on this track. It will likely go forward and sit on the pace before producing a strong sprint in the straight. Nice chance at $5. Guard Of Honour is the current $4.80 favourite following an impressive win in the Heritage Stakes last start. The Kris Lees-trained colt made it back-to-back wins after leaving maiden grades at Warwick Farm two starts back and it looks to have a fair amount of ability. Rises up in weight and it has a tricky draw, but include it in quaddie selections. Super Maxi has gone under the radar in winning three of its last four races and it could run well up in grade. Trained by Team Hawkes, the three-year-old has been leading in its races and kicking strongly in the straight, so consider here at $6.50 and that price should remain steady. Hair Trigger had no luck behind Guard Of Honour last start and it looks a great winning chance. The James Cummings-trained gelding was three wide in the open, but still managed to get close and its form prior stacks up nicely, too. The inside draw will see it land right on the speed and be tough to beat. $5.50 is a great price at CrownBet. Egyptian Symbol was unlucky to not have scored a win in its last five starts, but it has plenty of ability and it’s unbeaten in two fresh up starts. The Bjorn Baker-trained mare has won two-from-two fresh up and its last effort came behind Japonisme in the Group 1 Arrowfield Sprint. It is clearly the most talented runner in the field and the $2.80 reflects that. Rule The River didn’t do much wrong last campaign which culminated with a start in the Challenge Stakes. It was no match for English on that occasion, but it produced three consecutive wins prior and it will put itself right in the action from barrier one. $9 is a great price and it could boost quaddie payouts. Spieth showed its class last campaign with three consecutive wins. The Bryce Heys-trained horse defeated some nice types such as King’s Troop and Lord Von Costa so resuming in this shouldn’t pose any problems. It is well-weighted at 54kg and it has been primed with a recent trial placing. $3.80 is a fair price. Kaepernick has potential at the top level, but is enigmatic as they come. The Hawkes-trained gelding finished third in The Shorts at Randwick two back and was well backed to win last start in the Premiere Stakes, but it once again let punters down by finishing 11th. We’re including it based on its talent, but we wouldn’t take anything shorter than the $7 on offer. Include Inz’n’Out which battled on well behind Hellbent last start and it has won twice on this track and has placed in eight starts at this distance. $9 with bookmakers.